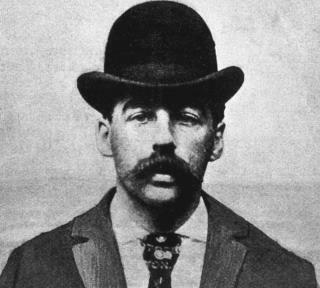 (Newser) – For some who chose Dr. HH Holmes' hotel as their lodging during the 1893 Chicago World's Fair, it was a deadly mistake. The 19th-century serial killer, born Herman Webster Mudgett, had fashioned a 100-plus-room house of horrors well-equipped for making people disappear: a building of soundproof, windowless rooms; gas vents controlled from Holmes' bedroom that could be used to asphyxiate guests; and a macabre basement complete with a dissecting table. As for what he allegedly did with the bodies—he confessed to killing 27 or 28—the Washington Post reports many were stripped down to bone via acid or some other means and the skeletons then sold to medical schools. But it's questions about Holmes' own body that is spurring the exhumation of his remains in suburban Philadelphia. All affected parties are long gone. This waste is what happens when you give bureaucracies near bottomless authority to spend money.